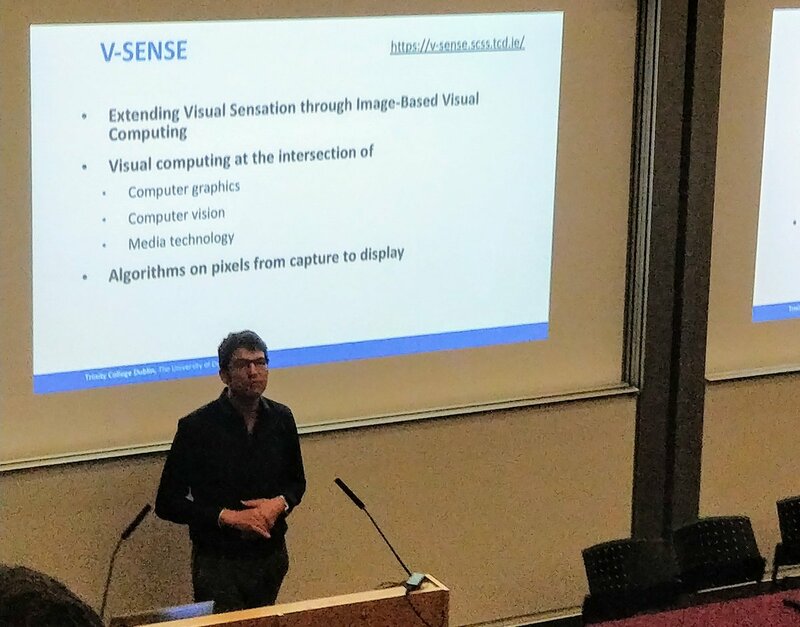 Professor Aljosa Smolic presented his keynote titled Content Creation for AR, VR, and Free Viewpoint Video at IEEEGEM 2018, held in Galway from the 15-17 August, 2018. The IEEE GEM 2018 conference is a platform for disseminating innovative research and development work on game, entertainment, and media technologies, applying lessons learned, and developing new ideas through audience interaction. Participation from all sectors including academia, industry, and government is welcome. The IEEE GEM 2018 conference brings together researchers, developers, industry, and government partners for formal and informal engagement and examination of emergent features of computer game development for entertainment, for learning/teaching, for serious purposes, and to impact society.